All HOLLOW AT INWOOD homes currently listed for sale in San Antonio as of 04/26/2019 are shown below. You can change the search criteria at any time by pressing the 'Change Search' button below. "Flat spacious, private lot on greenbelt. Beautiful home includes updates in kitchen and baths with granite counters, cherry wood cabinets and travertine floors. Recent upgrades within past 3 years include privacy fencing, 2 water heaters, and outside paint. Travertine flooring in dining and living room. Upstairs master has 2 walk-in closets. 3-car tandem garage." "Prime location in the prestigious, gated community Hollow at Inwood. Fantastic 4 Bedroom/3.5 Bath Open Floor Plan that features the Master Bedroom, 2 Living Areas, and 2 Dining Areas on the First Floor. 2nd floor offers large secondary rooms, game room, and 2 Full Baths including Jack & Jill. Beautiful wood floors throughout 1st floor with no carpet. Too many gorgeous features and decorative touches to list and lots of neighborhood amenities. 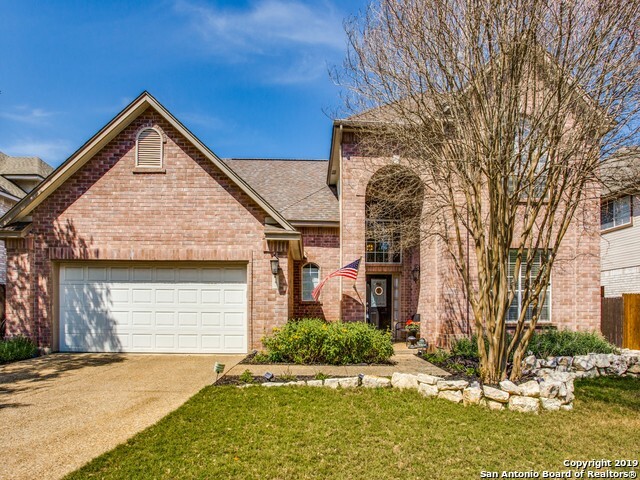 Highly rated school district and move-in ready!"